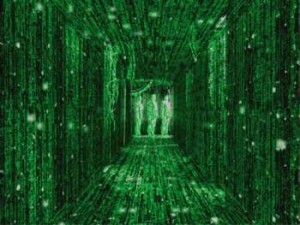 Looking forward to 2012, what’s going to be new for the online world? How are the patterns of internet usage changing and what are the key challenges facing the internet? The team from Plusnet: Bob Pullen, Ben Trimble and Plusnet super-user Barry Zubel. Last week, I took part in a discussion held by Plusnet about the future of internet and the trends that we’ll see online in 2012. Our discussion covered a whole range of topics including the marketing of download speeds and download limits, traffic management and net neutrality and how new internet-enabled devices such as smartphones, tablets, televisions and games consoles will affect the way we interact with the internet. In this article, I’d like to look back on the internet in 2011 and look forward to see how things might change in 2012. For me, 2012 will be an important year for the internet – particularly as the internet is moving beyond computers and onto a whole range of different form factors from a small-screen experience on a mobile phone to a large-screen experience on TV. Furthermore, talk of download limits and download speeds still confuses consumers. These are issues which must be tackled in 2012. 6 The Internet: A human right? How do we ensure universal coverage? 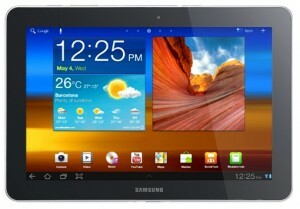 An increasing number of us are accessing the internet from portable devices such as smartphones and tablets. Technologies requiring large amounts of bandwidth will come of age: video-on-demand being the most obvious example. At the moment, many of us are already using services such as BBC iPlayer, 4oD and Sky Go to watch television through a broadband connection. Video-on-demand is set to explode in 2012 with services such as YouView, LoveFilm and BT Vision bringing video on demand services through a broadband connection straight onto the television into our living rooms. Events such as the London 2012 Olympics are also likely to increase usage of video on demand services. The amount of data we consume is likely to increase in 2012 for both home broadband and mobile broadband connections. People are increasingly using devices other than their computer of laptop to access the internet: smartphones, tablets, game consoles, e-book readers, MP3 players – even internet-enabled fridges and vacuum cleaners. We’re seeing more-and-more people accessing the internet on-the-go using their mobile devices, smartphones and tablets. The geographical pattern of internet usage will change as we use the internet more when out-and-about and people will choose to consume online content in smaller but more frequent chunks throughout the day. Websites such as Facebook are taking advantage of this trend: many people now instinctively their Facebook accounts at frequent intervals during the day. 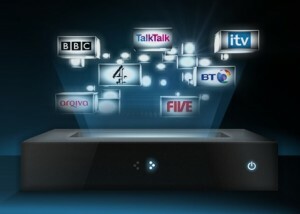 The ‘YouView’ set-top box provides catch up TV on demand through an internet connection. In mobile broadband, download limits of 500MB per month are commonplace. In 2011, we saw mobile network operators such as O2 moving to give consumers a choice of data limits (either 100MB, 500MB or 1GB per month) whereas other mobile operators such as Three began offering all-you-can-eat internet without data limits. With the two different approaches to download limits, it’s difficult to say which approach will win out in 2012. For home broadband download limits, where they exist, tend to be much more generous than they are for mobile broadband. Plusnet offers two tariffs with varying download limits: 10GB/month on the entry-level plan and 60GB/month on the plan designed for heavy users. Other ISPs such as O2 offers consumers a choice of a low-cost tariff with a download limit or a more expensive package without download limits. Finally, ISPs such as BE go one step further by providing unlimited downloads on all of their packages. In 2011, the average smartphone user consumes around 250MB of data each month whereas the average home broadband user consumes around 13GB of data each month. Approximately 50% of this data transfer is currently due to video websites and video on demand services. Data consumption figures are set to rise again in 2012 with increased use of video-on-demand services such as BBC iPlayer and Sky Go and the launch of the YouView set-top box. 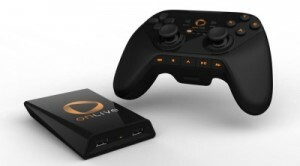 Gaming-on-demand services such as OnLive will also contribute to increased data usage. At Ken’s Tech Tips, our regular research reports indicate that consumers are confused by download limits and that talk of megabytes and gigabytes puts people off. Our analysis shows that Three have done particularly well at reassure customers with their offering of unlimited all-you-can-eat data. The problem with download limits as expressed in megabytes is that download limits aren’t easily linked to the amount of time you spend using a computer or smartphone: different activities and different websites will all consume different amounts of data. Furthermore, data usage isn’t even consistent within a class of activity: one radio stream might use twice as much data as a different one simply due to the bitrate and the way that it’s encoded. Having a limited number of minutes makes sense: we’re very good at knowing how long we’ve spent talking on the phone and how many minutes we’ve used up. For data traffic, things are different: there isn’t a simple relationship between the amount of time spent doing something and the amount of data consumed in that process. Our view is that consumers are bamboozled by ‘megabytes’, ‘gigabytes’ and all talk of download limits. Consumers don’t understand how their usage of the internet relates to ‘megabytes’ and ‘gigabytes’ and that’s something we’d like to see changing in 2012. Whilst we don’t deny the fact that download limits are a useful tool for ISPs and mobile broadband providers to moderate traffic volumes on their networks and to ensure customers share limited amounts of bandwidth in a fair way, there is certainly worry amongst consumers about receiving additional charges for unknowingly exceeding some limit. Besides making it easier for consumers to track their data consumption figures, there doesn’t seem to be a clear solution to the problem of moderating data traffic volumes whilst reassuring consumers against the worries of possible bill shock. 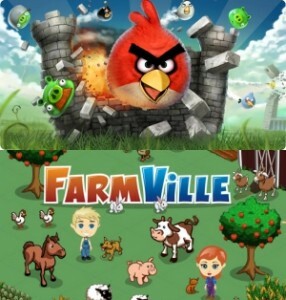 ‘Angry Birds’ and ‘Farmville’ differ in data consumption: but do consumers really understand how they differ? How broadband providers advertise their download speeds in advertising communications has been a hot matter of debate in 2011. Most providers advertise an “up to” speed but many consumers can’t actually achieve such speeds: the quoted maximum speed is often theoretical and real-world speeds are affected by a multitude of factors such as line quality and the distance from the local exchange. The same problem is prevalent in mobile broadband: HSDPA offers a theoretical maximum download speed of 7.2Mbit/s but typical speeds are closer to 1.5Mbit/s. 2012 will see the rollout of HSPA+ mobile broadband technology across many of the UK’s mobile networks. HSPA+ offers a theoretical maximum speed of 21Mbit/s but typical speeds will be closer to 4Mbit/s. There is no clear solution to how download speeds should be marketed given every consumer will have a different experience. Clearly, download speeds should be marketed to consumers in some way or another – it’s a key differentiation point between different broadband providers. Yet an “up to” figure or an “average speed” figure might not bear any resemblance to actual download speeds received by the customer. It will remain a matter of contention in 2012 how ISPs and mobile broadband providers can differentiate themselves based on speed whilst providing figures which are meaningful to normal broadband customers. As an aside, it was refreshing to see earlier this year that Vodafone Germany were advertising lower speeds on their LTE (4G) service than it was actually capable of providing. In our September 2011 field-trial of Vodafone Germany’s “50Mbit/s” LTE service, we observed a download speed of 84.5Mbit/s – faster than the advertised speed of 50Mbit/s. A Vodafone representative told us at IFA that their LTE network is actually capable of speeds of up to 150Mbit/s – the lower speed of 50Mbit/s is advertised due to the fact that many users will be unable to obtain the higher speeds. Data consumption increases on faster broadband connections – but only up to 4Mbit/s. Simple logic would suggest that when consumers are given faster download speeds, they’ll download and stream more content and data usage will increase. Somebody on a dial-up connection or a 2G mobile connection physically wouldn’t have the bandwidth available to stream live video of any kind whereas somebody with a high-speed broadband connection of 20Mbit/s would easily be able to stream several high-definition video channels live to their computer. One of the interesting figures that arose from the discussion with the Plusnet team was that whilst customers with higher download speeds do consume more data, the increase in data consumption tails off for speeds above 4Mbit/s. Between 4Mbit/s and 12Mbit/s, data consumption no longer increases with download speed. At around 12Mbit/s, data consumption once again begins to increase with faster download speeds. On the face of it, this looks pretty strange. One possible explanation is that once users reach 4Mbit/s, they are able to do most of the things they’d like to do with their broadband connection – a download speed of around 3.5Mbit/s would be required to reliably stream high-definition video. Beyond 4Mbit/s, there are few applications which currently require that amount of bandwidth and so faster download speeds no longer stimulate more demand for data. At the 12Mbit/s point, we begin to select for “power users” in our sample – the users who tend to consume much more data anyway. There is nothing to suggest normal users would suddenly consume more data if given a 12Mbit/s+ broadband connection. The ‘OnLive’ gaming-on-demand service requires a high speed internet connection. Given that 4Mbit/s tends to be the magic speed which allows consumers to consume all of the content they’d like to consume, it’d be interesting to see whether a mobile broadband connection via HSPA+ becomes a viable alternative to home broadband for many people in 2012. HSPA+ should deliver typical download speeds of around 4Mbit/s. Looking forward, there is no doubt that consumers will demand more than 4Mbit/s in the future. 4Mbit/s will handle a single high-definition video stream just fine but if several members of your family are concurrently streaming high-definition TV from different rooms, it’s no good. Furthermore, I expect that many of the new applications to be developed over the coming years will utilise higher download speeds – such applications could never be commercially successful today as most broadband connections would not support those technologies. OnLive’s gaming-on-demand service is one example of a technology which has only become technologically feasible recently – what else could be around the corner? Video on demand (VoD for short) is likely to be a huge area of growth in 2012 through both home broadband and mobile broadband connections. 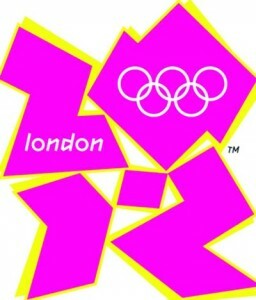 London 2012 will stimulate demand for video on-demand services. The London 2012 Olympics will be one of the events that will contribute to increased usage of video-on-demand services and increased data consumption in 2012. One of the tough challenges for ISPs is to forecast how much data will be consumed in advance and to ensure there is sufficient bandwidth to accommodate a large number of people suddenly turning on their laptops to watch the men’s 100m finals. This is a similar problem to that faced by electricity companies who must also forecast electricity demand in advance. The London 2012 games is likely to play havoc with television schedules with shows such as EastEnders being rescheduled around the sport. In 2012, consumers will be more likely to use video on demand services such as iPlayer to timeshift and to watch programmes such as Eastenders on-demand when they’re unable to watch them at the normal time they expect. 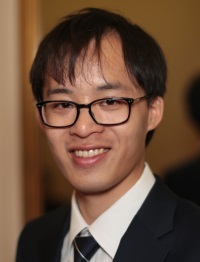 This means events such as the Olympics will cause secondary demands for data consumption too – another challenge that ISPs need to accurately forecast in advance. As we look forward to the next 5-10 years, consumers will increasingly use video on demand services so that their TV and media consumption will better fit around their lives. As we begin to consume television in less of a linear fashion (pre-set schedules dictated by the television controllers) and in more of an on-demand fashion, it could be envisioned that the government would eventually contemplate a ‘digital switch-off’: turning off the digital TV signal and freeing up that spectrum for high-speed 4G mobile broadband services. 4G services are capable of wirelessly delivering video on demand services in a way that normal digital television cannot. The Internet: A human right? How do we ensure universal coverage? 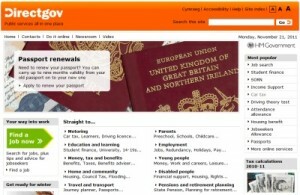 Many services including government services are now only available online. One of the interesting questions that arose in our discussion was whether access to the internet should be considered a human right in the UK. Many government services such as NHS Direct, applying for a new driving license and sending off your tax return are now conducted through the UK Government’s Direct.gov.uk website. Furthermore, without an internet connection consumers are unable to access the most competitive e-savings accounts, the lowest utility bills with discounts for paperless billing and the most competitively priced products at online stores such as Amazon and eBay. With society’s ever-increasing reliance on online services, how does this affect people who are left behind without fast access to the internet? Is it possible to fully engage with society without access to high-speed broadband internet? As a society, should we require broadband providers and mobile phone companies to provide some minimum level of coverage universally? How about the places where it is simply not economically viable to privately provide a high-speed broadband connection to? Mobile technology provides a practical and cost-effective way to ensure universal broadband coverage across the UK. At Ken’s Tech Tips, we believe that broadband access should be a universal right in the UK. We believe everybody should have full access to the range of government services, financial services and retail products which are available in the economy and with many of these services only being available online, it is important that everybody has access to a fast and reliable broadband internet connection. The most economical way of ensuring universal coverage is through the mobile phone networks: in the places where it isn’t economical to install telephone cables for wired internet, mobile technology can be used. 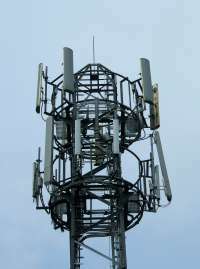 One mobile phone mast can cover an area up to 25km across and 4G technologies such as LTE are able to provide a service which can match even the best of home broadband services. That’s why we believe OFCOM should take a great deal of thought in the run-up to the upcoming spectrum auction for 4G services to ensure there are provisions to ensure access to fast broadband is possible for everyone in the UK regardless of where they live. 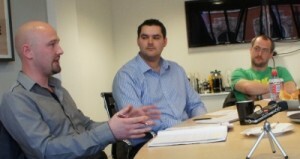 Many thanks to the guys at Plusnet and Kazoo for organising the discussion session on the internet in 2012. Plusnet offers residential and business broadband services in the UK.